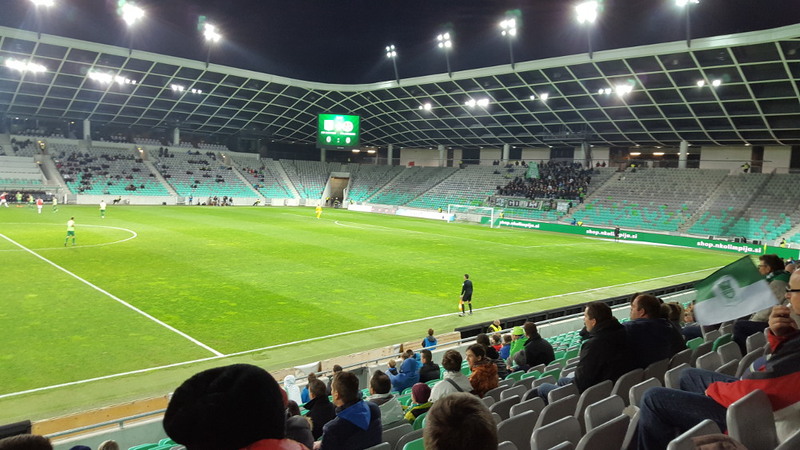 Stadion Stozice was built to provide the city of Ljubljana and the Slovenian National Team with a modern football venue. It opened on 11 August 2010 with a friendly between Slovenia and Australia (2-0). The stadium was named after the area it is located in. It is part of a larger sports complex including an indoor arena. The stadium is also used for concerts. Stadion Stozice’s most characteristic feature is that it is sunk into the ground with the concourse on top of the stand on ground level. 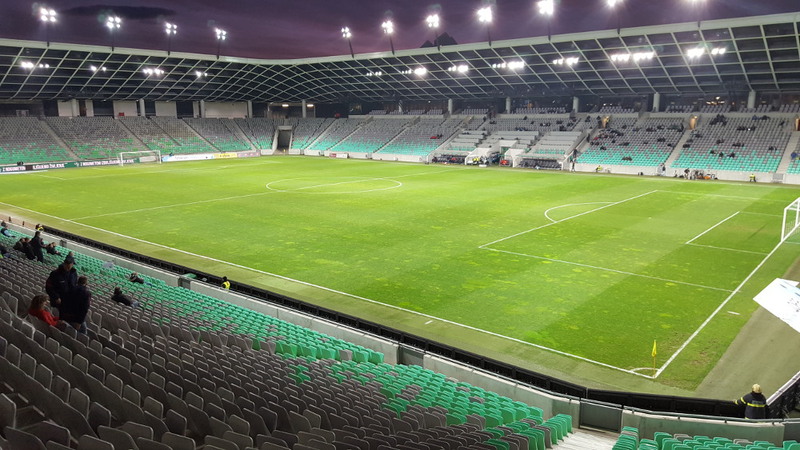 Stadion Stozice is located on the northern edge of Ljubljana just within the ring road at just under 3 kilometres from the main railway station and a kilometre more from Ljubljana’s historic centre. The walk from the station takes just over half an hour, while that from the historic centre takes almost 45 minutes. Alternatively, you can catch bus 20 to the stadium, which you can catch from Slovenska cesta just west of the station or from Tavcarjeva in the historic centre. 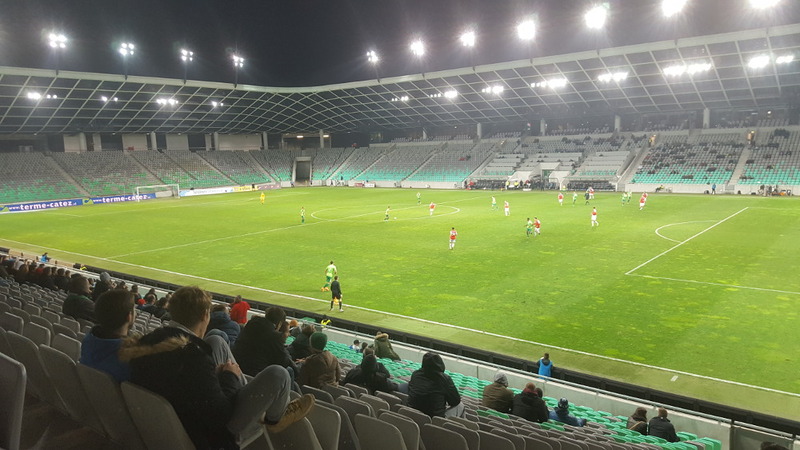 Stadion Stozice is located on a complex including the Arena Stozice on the edge of Ljubljana bordered by a motorway and residential areas. It is a quiet area with little around in terms of eating and drinking, which is better done in Ljubljana’s charming and lively city centre. If you are looking to stay close to Stadion Stozice, then the well-rated Austria Trend Hotel is an excellent pick. There are furthermore a few apartment rentals near the stadium. 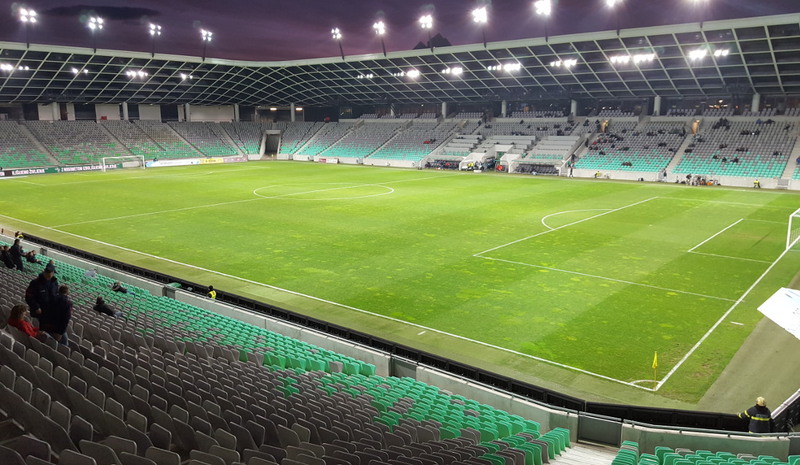 Click here for an overview of hotels near Stadion Stozice. However, if you’re looking to stay a little longer in Ljubljana, which is recommended, then staying in or near the city centre will likely have your preference. Click here to explore the options. Tickets for Olimpija games can be bought online through the official wbesite or the Mojekarte.si website, or in person at any of the Mojekarte sales outlets. There are multiple sales outlets in Ljubljana’s city centre. Tickets are also available before the start of the match at the stadium. 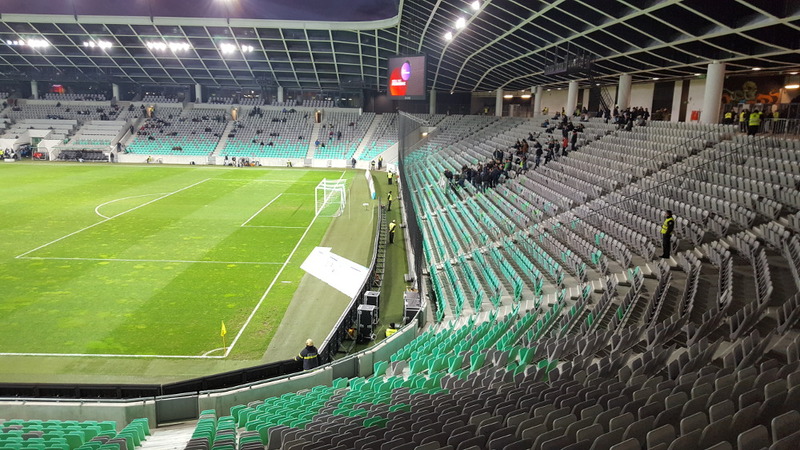 Olimpija rarely sell out, and for most matches half of the stadium remains closed. 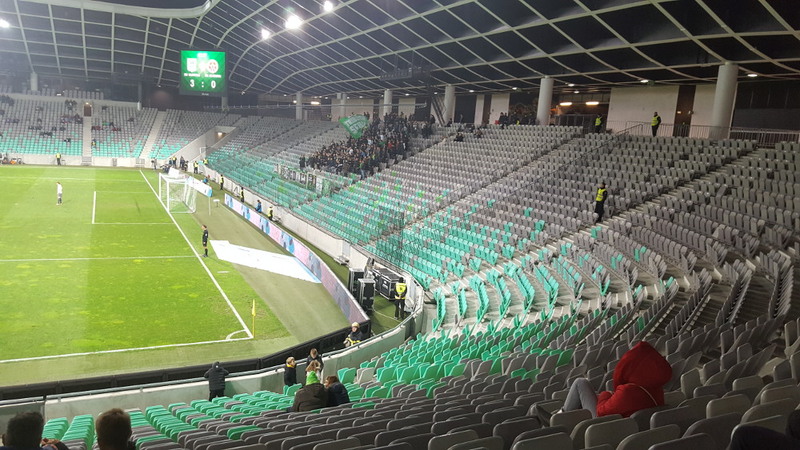 The only match that attracts a large crowd is the classic against Maribor. Regular tickets for most sections cost €10.00 while VIP tickets cost €40.00. Prices are increased for the match against Maribor to €15.00 and €70.00. Email vstopnice@nkolimpija.si for more information. 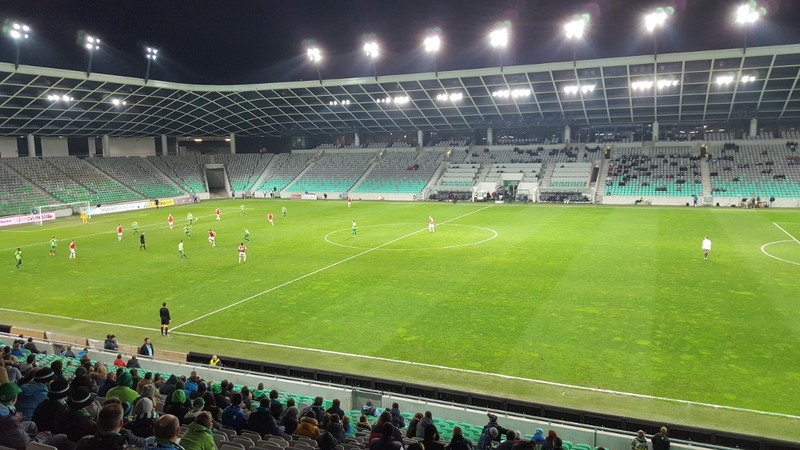 Nkolimpija.si – Official website of NK Olimpija Ljubljana. Visitljubljana.com – Ljubljana tourist information. I saw the game today. 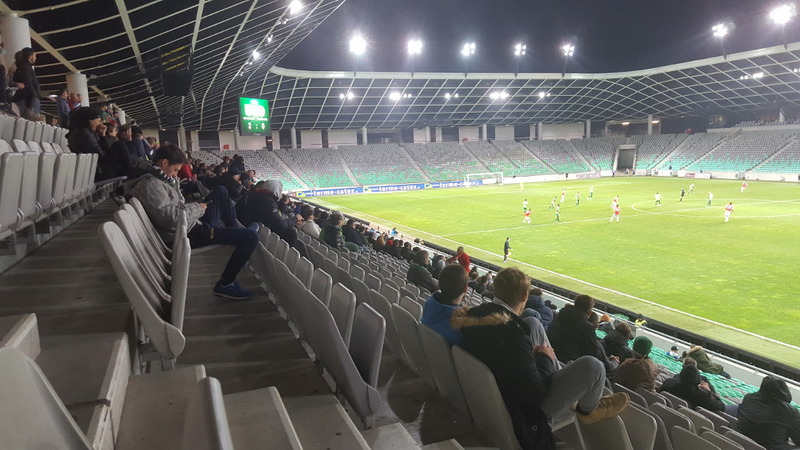 Olimpija Ljubljana as the clearly better team did not come over a 2:2 against Gorica (and laid back twice). 14 away-fans could be happy. Stadium is nice and beer cheap (0,5 Union 3€) and there is bus 13 back to town at 22.34. Return is free with Stadium Ticket. Just watch out, it stops around the corner (not where it lets you out!). Went to watch Olimpia against Gorica today. Ticket bought on The day directly from The stadium(10€). Attendance was very poor( about 800 and that includes around 40 away fans). I got to The stadium from city center by bus number 20. I had to walk back, because last bus leaves at 22:09. Quality of football and support was also not The best. Winning goal scored in 91st minute and a fan chasing assistan referee were The highlights of The game.